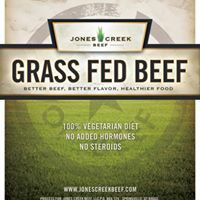 Living a Fit and Full Life: Simple Old-Fashioned Vegetable Beef Soup Using Jones Creek Roast Beef! 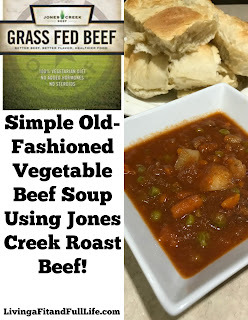 Simple Old-Fashioned Vegetable Beef Soup Using Jones Creek Roast Beef! Cut meat into small, bite-size pieces. Chop onion, potatoes, and carrots into bite-size pieces and add to the slow cooker. Add tomato sauce frozen peas and garlic to your slow cooker. Set your slow cooker for 4-6 hours.